Do You Require Forklift or Forklift Attachment Training? We can help! Buying your attachment from us doesn’t just end there, although every one of our forklift attachments comes supplied with a full set of operating instructions, we appreciate sometimes that just isn’t enough. If you require ‘hands on’ training, then we would be delighted to offer our ‘on site’ product training service, where a Contact representative can attend your site to provide formal training. Not just limited to Contact manufactured attachments however, we can also offer our training service to cover both forklift attachments not manufactured by Contact as well as specific forklift truck training. Based on a maximum number of 3 trainees per session (larger groups will simply require more sessions), and training sessions lasting no longer than 90 minutes, you can be assured that each trainee will get full one to one attention, within the short, focused, thorough yet easily digestible training period. 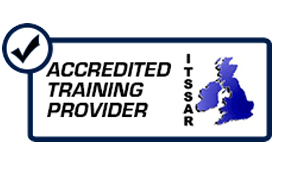 With trainers being ITSSAR and NPORS accredited, both of which are recognised training schemes for the operation of forklift trucks within industry, you can be guaranteed our forklift training and attachment training will be tailored to meet your requirements. For your risk assessment and personnel files, upon completion of the training, you will be left with an official documented record of the training that has been carried out. If you would like further information on our training service or would like to book a training session, then please do not hesitate to give us a call or fill in and submit the form on your right. A member of our team will be pleased to talk through your requirements.